Your emotions, urges, and impulses, as well as what you feel. 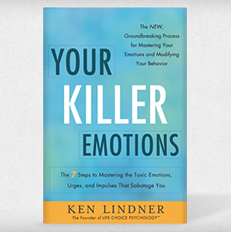 These two influences can be at odds with one another when a person is faced with an important life choice, and I discuss these components of decision making throughout my book, Your Killer Emotions. What you will learn and begin to practice is the ability to allow your intellect and your emotions to act in concert. When they do, you are able to attain your most dearly beloved goals and live the life you dream about. Let . What you will learn and begin to practice is the ability to allow your intellect and your emotions to act in concert. When they do, you are able to attain your most dearly beloved goals and live the life you dream about. Let me illustrate this point with an example that most of us can relate to. Many of us are faced with the daily challenge of making healthy or unhealthy choices. From the moment we get up, we begin making a series of decisions that can be heavily influenced by our emotions even when our intellect tries to lead us in the better direction. Do I get in some exercise before starting my day or blow it off? At lunch, do I go for the roasted turkey half sandwich or the double cheeseburger? I’m feeling hungry and tired in the late afternoon. Do I grab a cup of coffee and a candy bar or take a quick walk around the office and eat some fruit and mixed nuts? When making these decisions throughout your day, you will often receive conflicting information from your intellect and your emotions. Your intellect knows that getting daily morning exercise benefits your body, helps you have more energy throughout the day, and improves your mood. However, when the alarm rings early in the morning, your emotions are begging you to skip all of that sweating and sleep in! Harmonious collaboration of your intellect and emotions is the goal. 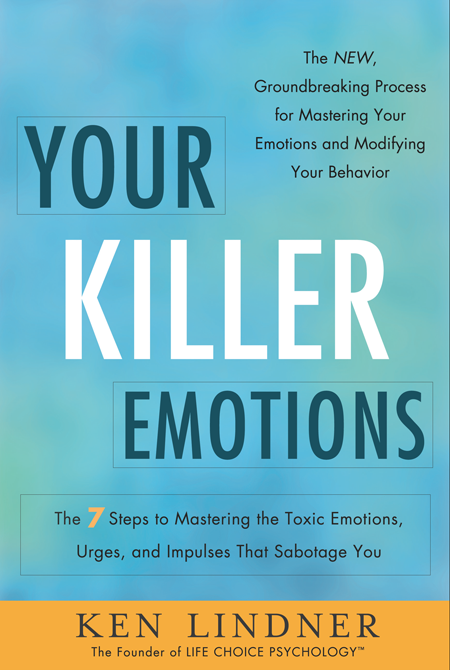 Your Killer Emotions will teach you how to come to a place where your intellect and your emotions lead you to the same decision through diligent practice and performance of the skill sets presented.